Boom! Crash! In a second, accidents can happen. They can jump up and strike without warning. Then, you might feel their effects for a lifetime. The pain of a car accident, construction mishap, or other kind of incident can take many forms. You might feel the pain in your wallet, leg, or consciousness. What we want to focus on now are non-economic damages. You normally see these in negligence cases. Negligence means someone acted unreasonably and harmed another. The victim sues for the damages from the events. Damages is a legal word with a lot packed into it. Damages means the negative results of a person’s wrongful acts. You must have them to bring a case. Your economic damages should be easy to figure. You can count up your ER bills, lost wages, and such. But how do you define your intangible injuries? This is what mean when we say non-economic damages. In the next sections, we’re going to give you a better sense of what those are. Then, we’ll give you some factors to help you calculate what yours might be if you bring a lawsuit. For a better estimate, contact our offices. We have an expert team that helps accidents victims all across the country. We can help you identify what your right to recover will be! How do You Suffer Non-Economic Harms? How do You Recover Non-Economic Damages? 5 Factors That Determine Non-Economic Damages? How do I Calculate my Non-Economic Damages? Which Method Should I use to Calculate my Non-Economic Damages? How can my Lawyer Maximize my Non-Economic Damages? Are There any Limits on My Non-Economic Damages? Work With a Team That’s Been There Before! You can seek compensation for different kinds of harms in civil cases. As we said above, it’ll probably be a negligence case. With these suits, plaintiffs often plea for economic and non-economic damages. The former includes the expenses the event caused. The latter relates to the intangible effect the misconduct injected. Think of pain and suffering; lower confidence; disability; scarring; lost normal life; etc. Illinois’ jury instructions provide for the right to collect on non-economic harms. Instruction 30.05 states that plaintiffs can recover for “The pain and suffering experienced and reasonably certain to be experienced in the future as a result of the injuries.” There are two implicit requirements here. One, the plaintiff must offer enough evidence to prove such non-economic harm. Two, it must be reasonable. This applies whether the intangible injuries described are past, present, or future. To clear up what is and what is not a proper non-economic damage, Illinois law gave a definition. You can find that in 735 ILCS 5/2-1115.2(b). Here is the definition. Don’t miss an important point from this description. There can be non-economic damages not described there. The law painted with a broad brush. It allows plaintiffs to get creative using this general mandate. Economic harms are easy to spot. We see them as they pile up. That’s in part due to their direct financial impact. When you miss work, you lose a paycheck. When you go to the ER, you need to pay a bill. When you get your bike smashed, you have to replace it. However, when do intangible injuries occur during accidents? Also, which of them can you seek recovery for? Let’s answer that second question first. We talked about this in part in the previous section. You can recover for all economic and non-economic injuries that flow from an incident. Part of your task will be to show how they emerged from the event (and we’ll talk more about that below). How do I know what to look for? Non-economic injuries are intangible. They’re the way an accident affected your life for the worse. Generally, they arise later than economic damages. You feel economic harms earlier than non-economic harms. You definitely might experience both though. You might encounter ongoing pain and suffering. You might have a scar runs across your face. This could lead to a diminished sense of self-worth. You may not be able to do the same job you could because of a handicap from the event. Your relationships might suffer as a result. 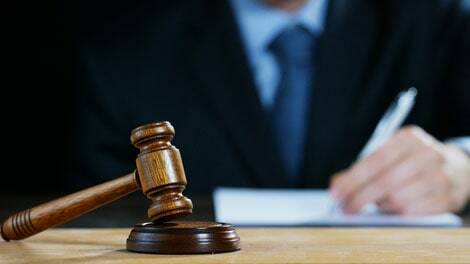 Here are some common ways that people sustain non-economic damages in negligence cases. Facial scarring in a car accident from the glass of a windshield or seatbelt. Lost normal life after a birth defect from medical malpractice. Handicap from an amputation due to the neglect of a nursing home. Hearing loss from a construction accident. Constant knee pain from a vehicle collision. This shows you how people suffer non-economic damages. Now, let’s talk about how you can recover for them in an Illinois court! Recovering non-economic damages for things like pain and suffering is part process and part narrative. The process part is mechanical. You need to file a complaint in the correct jurisdiction. That complaint must be filed within 2 years of the accident. It must contain a number of substantive parts. These parts include how you were injured, who injured you, and what you lost. That’s the process part. It’s pretty basic. It doesn’t require expert counsel. The narrative side to recovery does take skill. You need an attorney with imagination and focus. Non-economic damages are highly speculative. You need to walk a jury to the correct number by painting a portrait they can see. The more detail you can provide, the better! This starts early in the lawsuit. Through discovery and investigation, you need to start building your argument for large economic damages. You can strengthen this tract in depositions. Then, in trial, you can truly unleash your power by talking to the jury. When you do, tell your story. Give examples of how the accident affected your life. Did it keep you from your favorite hobby? Did it cost you a loved job? Did it disrupt an important relationship? Use a mix of creativity and focus to lead the jury to non-economic damages. In fact, juries have more freedom here than with economic damages. There are no caps in Illinois (the Supreme Court overturned them in 2016). Some other states have caps, but juries still have flexibility between the ceilings. Here’s the point: show juries why they should double or triple your economic harms. It’s quite acceptable. They only need a reason to do that. How do you do that? Organize a path and persuasively bring the jury down it from opening to closing argument. Simply put: tell your story! It might be hard to keep all of the different forms of compensation straight. It means a lot to have them separated in your head though. Here are some quick facts to help you identify non-economic damages. They’ll also better inform you about this area of recovery too! Non-economic damages reward plaintiffs for losses in quality of life. They don’t reward plaintiffs for expenses, bills, the death of another, or to punish wanton conduct. Some of the biggest awards for non-economic damages come from automobile, medical, nursing home, and other suits. Non-economic damages are often referred to as pain and suffering, loss of normal life, general damages, or emotional distress. Scars, handicaps, and chronic pain are indicators of non-economic damages. 39 states and DC don’t put a cap on personal injury damages. This includes states like Illinois, Florida, New York, California, and Texas. 11 states put caps on non-economic damages. These include Arkansas, Colorado, Ohio, and others. Some states put non-economic damages caps on certain kinds of suits like products liability and med mal. 5 states have a constitutional provision prohibiting a cap on damages. You should have a better understanding of non-economic damages now. Next, we identify some factors that will help predict them. Now, you should be able to spot non-economic damages. If you’re in a car accident, construction accident, or other accident, you’ll know you can recover intangible pain and suffering in court. Yet, what factors determine how much non-economic damages you’ll get? Take a look at these four. The severity of the intangible injury. The length the intangible injury will last. The number of different impacts the intangible injury will have. For example, will it affect your school, work, friendships, hobbies, etc.? The total cost of the intangible injury on your quality of life. Other economic and related harms that came from intangible injury. These factors are broad. It might be hard to apply them to your case. Thus, now we’ll show you some different ways you can use them. That will allow you to calculate what your non-economic damages may be worth. Pain and suffering are hard concepts to put into words. The impact they have on your life may be undefinable. Yet, you must do that in court. Otherwise, juries will be left to ascribe a number to your pain on their own. Then, defendants can hammer that further and further down. We have some ways to use the factors above to calculate your non-economic damages. First, we can use a multiplication method. When we use this, we tally all the expenses (economic damages) and multiply them by a number. Normally, that number is 1.5-3. If any of the factors above are really bad (like severity or length), then you might get around 3. Generally, we see 1.5 and 2 a lot. Either way, this is a pretty accurate way to calculate non-economic damages. Second, we could employ a daily method. Under that scheme, we set a number for what a day would be worth without the pain you’re experiencing. Then, we predict how long you’ll have that condition. Finally, we multiply the two together. That should account for the negative effects of your accident. It’s also a decent way to calculate your non-economic damages. Third, we use before/after stories. To do this, tell your story. Talk about your life before and after the accident. Try to show the difference. Give the jury a range of what you could/couldn’t do in terms of percentages. Those numbers will translate into dollars for non-economic damages. We’ve used these strategies successfully before. They make it easier for the whole court to understand what happened. Then, they can use that to fix a proper number for your non-economic damages. Of course, which you use and what number you arrive at depends on the facts of your case. In the next section, we’ll help you identify your best method of calculating your pain and suffering. Of course, you don’t have to use any of the methods we suggest. You could use something completely different. Many lawyers prefer to look at historical averages. They think this lets them better predict non-economic damages. Other plaintiffs may choose another approach. What you use depends on the facts of your case. You need to evaluate your potential recovery under each option. Then, see which gets you the most. Naturally, execution is important. Predictions are only that. You still need to execute a solid case strategy to achieve the damages that you hope for. Defendants will use data and stats to weaken your argument. Keep this in mind when calculating what your pain and suffering could be worth in court. Also, work with your attorney to protect and maximize that amount. Attorneys can mean a lot to the bottom line of your case value. They could take certain steps to make sure you get every penny you deserve. Let’s discuss exactly what they can provide. From the start, they should create and follow a case path. This merges your story with a legal roadmap. That roadmap should detail what needs to be done at every point of the lawsuit to achieve success. After this vision is put in place, they must assemble all resources required to win. This means gathering enough resources, personnel, and infrastructure your suit demands. Finally, they need to present your narrative at trial. It’s not just a retelling of the accident. It’s the sum of what happened, how it affected you, and what you need to recover. Presenting this in a persuasive way is the essence of a lawyer’s job. After it’s completed, a jury should have no choice but to accept the figure that you recommend. Clearly, there are other things your lawyers should do. This just summarizes their central responsibilities: vision; organization; and persuasion. When done right, your attorneys will have preserved and maximized your non-economic damages. Your non-economic damages might be limited. It depends on the facts of your case and location. As we mentioned before, some states limit your right to receive non-economic damages. They might cap it at 2 or 3 times what your economic damages were. They might also cap or eliminate them if it’s a certain kind of case. Some areas do this for products liability or med mal actions. Non-economic damages could also be reduced by the amount of money a defendant has. If your defendant has limited resources or insurance, he/she might only be able to pay you a certain amount. Relatedly, many insurance policies only cover a limited portion of damages. These examples show you when and how your non-economic damages may be capped. To find out how they might apply to your case, speak to a qualified lawyer. Then, you’ll get a better sense of where and how you can get the most! Example of a statute that defines non-economic damages. Example of a jury instruction for non-economic damages. Some more background on non-economic damages. Further issues related to non-economic damages. Rosenfeld Injury Lawyers doesn’t need to learn on the job. We’ve met with victims of unimaginable injuries. We’ve walked them through the legal system to successful end. A lot of their harms were non-economic. That doesn’t mean they weren’t real. Your intangible injuries are just as important. You deserve to recover for them. To find out how you can do that, contact our team. We’re here to get you on the path to recovery! Learn about other damages you can obtain. Read the following articles.